MANILA – Director General Ronald Dela Rosa on Monday presided over his last flag-raising ceremony as head of the Philippine National Police and thanked his men for their support during his nearly 2-year leadership. 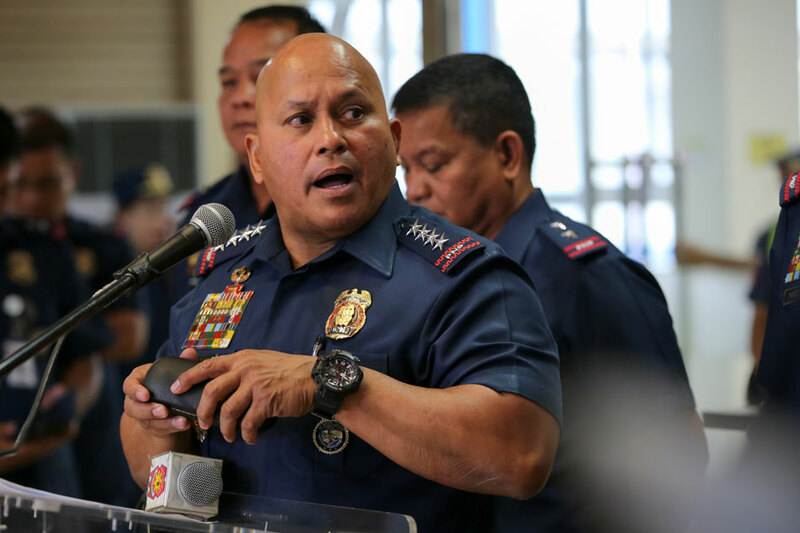 Dela Rosa was the first PNP Chief under President Rodrigo Duterte and he led the 180,000-strong agency as the government waged war on illegal drugs. Nicknamed “Bato,” Filipino for rock due to his burly build, Dela Rosa will take on a new post as chief of the Bureau of Corrections. Director Oscar Albayalde will replace Dela Rosa at the PNP. “From the bottom of my heart, maraming salamat sa inyong tulong habang ako’y inyong Chief PNP. Maraming, maraming salamat po.” he told his men. Dela Rosa will also give a final press conference on Monday before heading to his alma matter, the Philippine Military Academy, in Baguio City for a testimonial parade. On Tuesday evening, Dela Rosa will have a testimonial dinner, where top officials are expected to attend.